Knit panels with crochet accents. 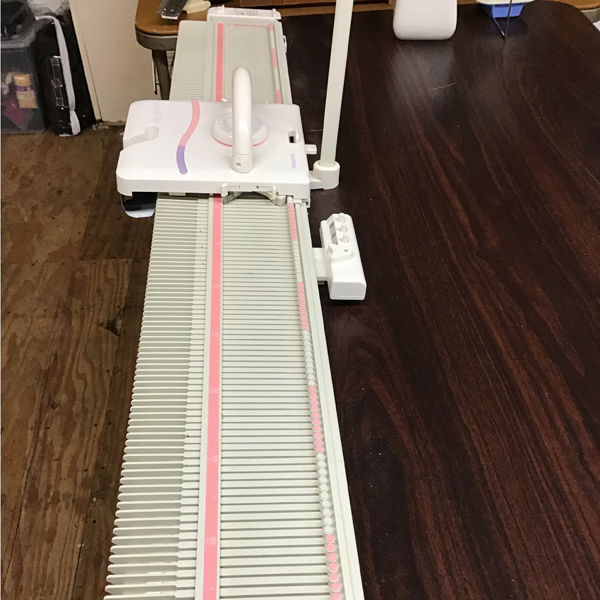 I am new to using a knitting machine. 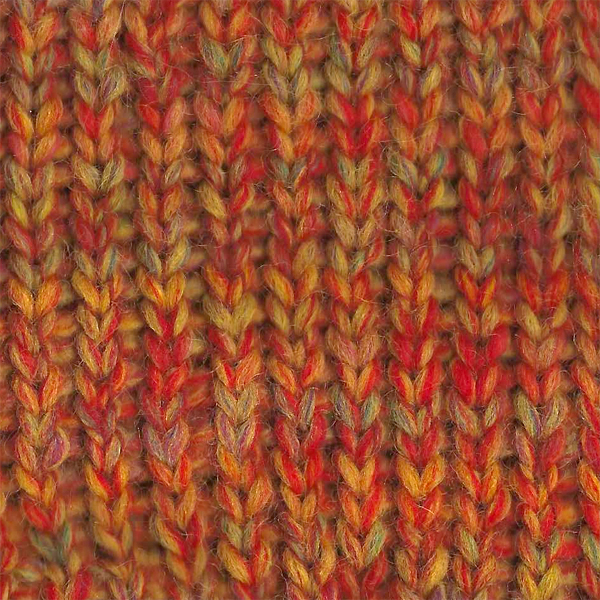 My interest, I confess, is not in knitting garments with fancy stitches but rather combining different knitted yarn fabrics and textures together to create unique designs. 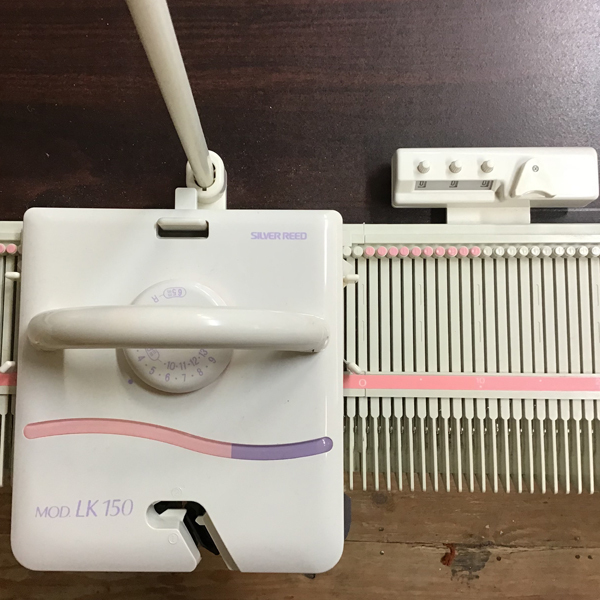 I thought the Silver Reed LK150 Knitting Machine would be the perfect tool for my needs. They call this machine a work-horse and it is. 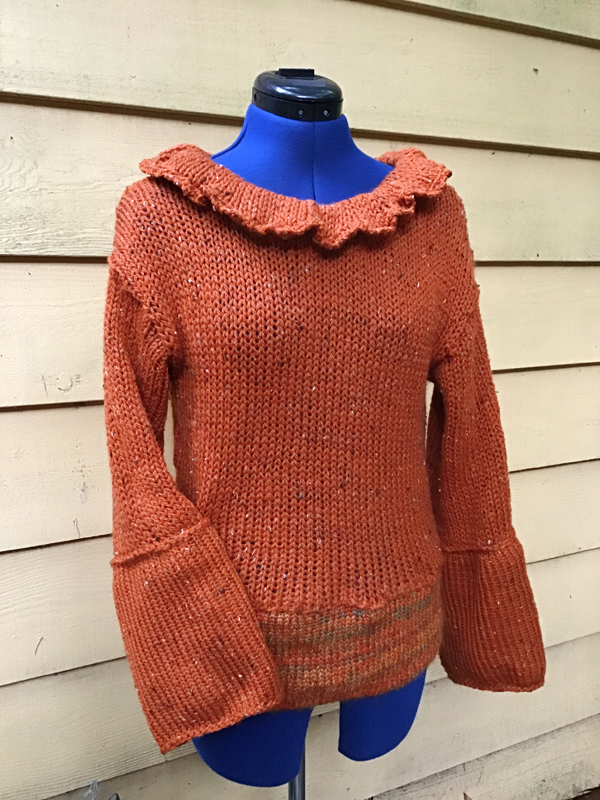 This sweater is my own design by draping the dress form. I let the sweater evolve as I went and ended up with these semi-bell sleeves that a friend’s blouse inspired me to add. 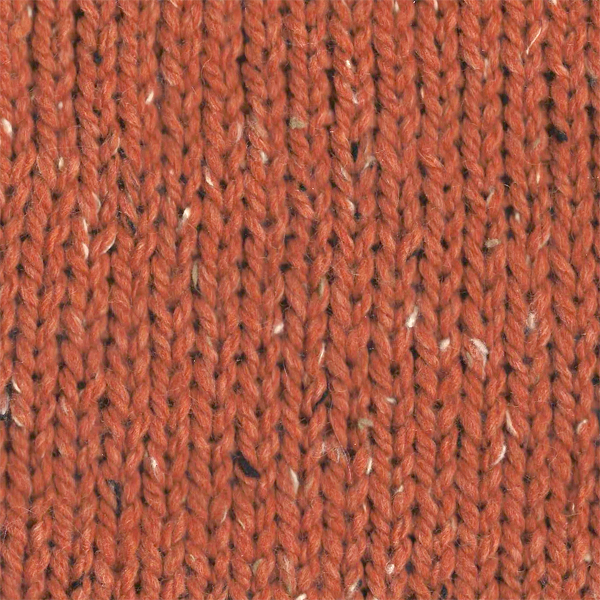 Wonderful yarn to work with! Thanks! Let’s get together for a lunch ‘n laugh.